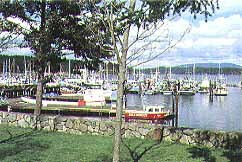 Friday Harbor is the county seat of San Juan County and also the only incorporated town in the San Juan Islands. The picturesque town is home to half of the island's residents. Friday Harbor encompasses just one square mile.